Bhopal is the capital city located in Madhya Pradesh. Colleges in Bhopal impart higher education in wide range of field’s right from engineering to medical and electronics to arts. Colleges in Bhopal mainly focus on overall development of the aspirants. Highly qualified and experienced faculties help the aspirants at every point of time in their studies and encourage them to participate in all the extra curricular activities. A range of degree’s such as Bachelor’s degree, Master’s degree, Doctoral and diploma program in the various fields are offered by colleges in Bhopal. Some of the colleges and institutes situated in Bhopal which are quite famous for high standard educational quality are Bansal College of Pharmacy, Bansal Diploma Pharmacy College, Bansal Institute of Science and Technology, Bansal MBA College, Bhopal Engineering College, Bhopal Institute of Technology & Science, Career College of Law, Central Institute of Agricultural Engineering, CR Institute of Management Studies, Extol Institute of Management, Government State Level Post Graduate Law College, Hkm. Syed Ziaul Hassan Government Unani Medical College, Indira Priyadarshini College of Management, Institute Of Cooperative Management, Institute of Professional Education & Research, Jai Hind Defence College of Law, Malhotra College of Pharmacy, MANIT Bhopal, Mansarovar Dental College, NRI Institute of Pharmaceutical Science, Oriental College of Management, Oriental Institute of Science & Technology, People’s Institute of Management & Research, R.K.D.F. College of Pharmacy, Radharaman Institute of Technology and Science, Rajiv Gandhi College of Pharmacy Bhopal, RKDF Institute of Science and Technology, Sagar Institute of Research & Technology, Shree Institute of Science and Technology, Technocrats Institute of Technology, Thakral College of Technology, University Institute of Technology RGPV Bhopal, Vidyasagar Institute of Management, VNS Institute of Management etc. Depending upon the field of study almost all the above colleges are approved by All India Council for Technical Education (AICTE), Government of India, New Delhi, Pharmacy Council of India (PCI), Bar Council of India (BCI) and Indian Council of Agricultural Research (ICAR). Additional facilities offered by the colleges in Bhopal are Well equipped laboratory, Computer labs with internet facility, Hostel accommodation, Medical Facilities, Library, Sports, Security system, Security system, Moot court room, Extra curricular activities, Canteen, Lecture hall, Research workshops, Instrumentation Cell, Research Laboratories, International Training Centre, Guest House and Trainee's Hostel, Research Farm etc. Get connected to different colleges in Bhopal which is just a click away. StudyguideIndia will provide you the information as required by you. Information which is provided here is correct. If at all you come across any errors you are requested to kindly let us know. 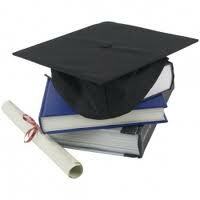 "Following are the list of Colleges in Bhopal. All Colleges in Bhopal are divided location wise. We have even listed Colleges in Bhopal as per alphabetical order making it easy to find the desired college and information on it. If you come across any College in Bhopal which is not found in our list below, please do let us know by using add in list which is default in our website”.